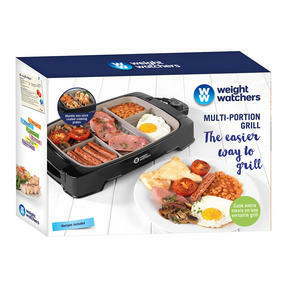 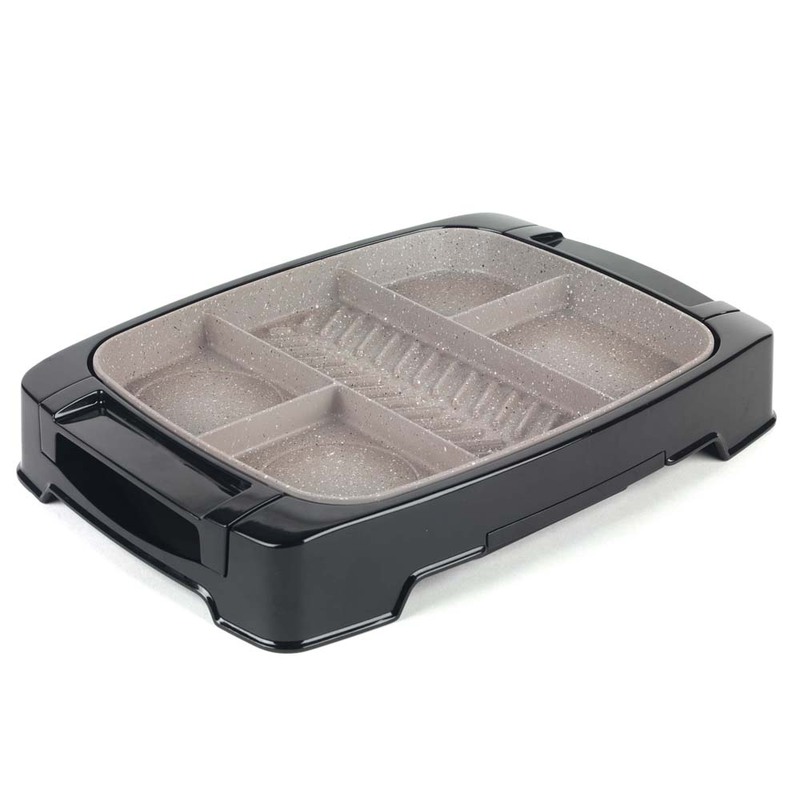 For convenient, healthy cooking every day simply add the Weight Watchers Multi-Portion grill to your kitchen and enjoy an amazing variety of dishes which require minimal effort to make. 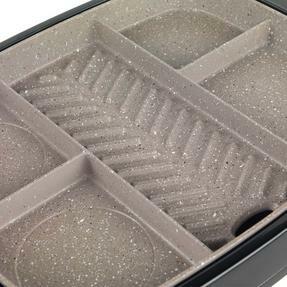 The revolutionary marble effect non-stick cooking plates require little or no oil for healthier meals and the detachable plate makes cleaning easy. 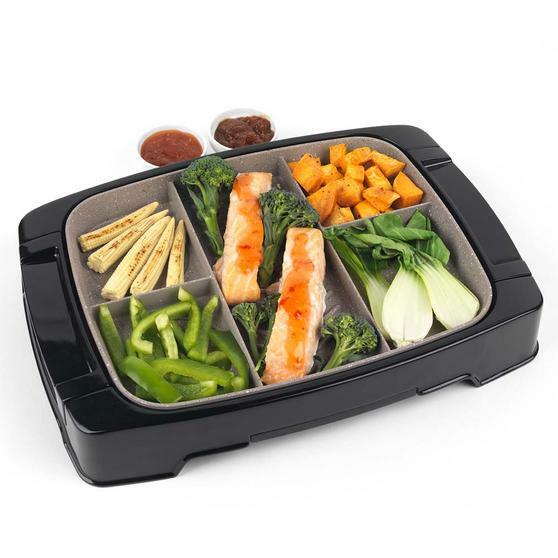 Featuring five cooking sections and an adjustable temperature dial, prepare your food and then simply detach the power cord so you can serve straight to the table. 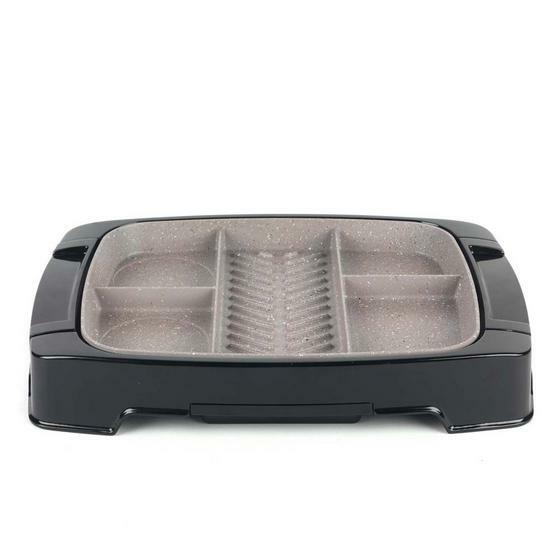 Measuring 30 x 23.5 cm, the marble effect plate can be removed for easy cleaning and requires little or no oil for healthier cooking. A selection of Weight Watchers recipes are provided, including family favourites with serving SmartPoints value so you can keep track.